If you’re one of those people who joins a gym and then never goes, you’re not alone. There are lots of people out there like you who aren’t really getting the benefit of their membership fees. 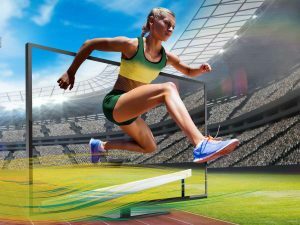 But never fear, there are plenty of other ways you can exercise without needing to go to a gym. One of which is hiring gym equipment for private use in your own home. Many people like the convenience of exercising in their homes because they don’t have to worry about what other people think. They can stay warm and dry if it’s raining outside, exercise in front of the TV and watch their favourite shows. It also means they can work out regularly whenever you want, day or night. No more worrying about opening hours or travelling a long distance to the gym. 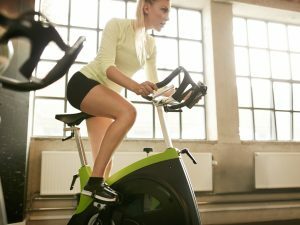 Hiring gym equipment also means you get the very latest models, whether you’re after a treadmill, exercise bike, rowing machine, cross trainer or pulse trainer. Often at smaller gyms, there are only a few machines and you can spend more time waiting in a queue than working out. But if you’ve got a home gym, then you’ll always be first in line. Another advantage of hiring home gym equipment is that if the equipment does break down, you’re not in the position of having to fork out for repairs. You can simply swap it for another machine and continue on your merry way. If you get bored with the equipment you have and want to try something else, then it’s also easy to switch to something else whenever you want. Once you’ve made the decision to hire gym equipment for home use, then figuring out where to put it is the next step. Ideally, you’ll have a spare room you can use. However, garages are also often utilised as home gyms, as long as you have enough room to park the car! The great thing about hiring equipment is that you can try it and see if it fits into your home and lifestyle. If it isn’t exactly what you’re looking for, you can swap it for something else. For example, you may start out with a treadmill but find that you don’t have the room, and switch it for an exercise bike instead. Hiring a piece of gym equipment is also a lot cheaper than a gym membership, so if you miss a day, you don’t have to feel guilty that you’re wasting an exorbitant amount of money. So why not cancel that expensive gym membership today and get in touch with McRae Rentals? Check out our website for a range of high-quality fitness equipment and workout at a time and pace that suits you. 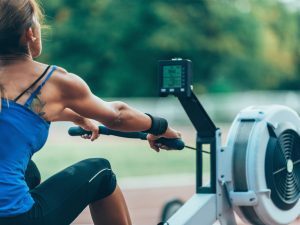 Getting started with rowing: Feel stronger and look good!